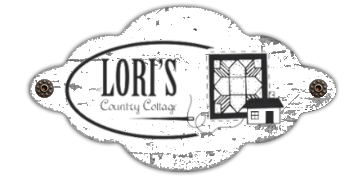 Join Lori & Glen Bosecke of Lori’s Country Cottage and combine your passion for quilting with travel! See extraordinary sights, meet new friends and perfect your quilting techniques. Flights can be arranged by our travel agent or here is a chance to use your travel points. It is recommended that you arrive the day prior to the cruise. Arrangements for the pre night hotel and transfers are included in your package. Details will be provided closer to travel. Upon arrival at the Port of Miami, you will be required to complete ship check-in formalities. Please have your Celebrity Express Passes, credit card and passports ready. You’ll also be required to fill out a brief medical questionnaire and your photo will be taken. You will also go thru security similar to the airport. Upon completion of check-in, you will receive a guest card. Once you receive your cards you may board the ‘Celebrity Equinox’. Ship photographers will be taking photos before you board and during your cruise at various locations on the ship. These photos will be available to preview in the ship’s photo gallery. Your luggage will be delivered to your stateroom within a few hours of boarding the ship. If the bed in your stateroom in not configured correctly please notify your cabin steward and he/she will re-arrange them. There will be a mandatory lifeboat safety drill on board. The drill will take place before the ship sails. Time and details will be announced prior to the drill and your meeting location also known as your ‘muster station’ will be noted on your ID card and the back of your stateroom door. Pack like you would for any resort. Cruise vacations are casual by day, whether you're on the ship or on shore. In the evening, ships vary as to dress. Much like on shore, attire is dictated by occasion. At the Captain's Gala, for example, you'll probably want to wear something more formal, such as a dark suit, cocktail dress, a dinner jacket, or a gown. The temperature in each cabin is individually controlled for your own comfort. Bring comfortable shoes to wear in port; streets are often uneven or rough. Don't forget your swimsuit! We can arrange airline tickets and other personalized travel. We are able to quote fares for all airlines and look for the best prices. Transfers from the airport to the cruise ship and back are available at a minimal charge. Our pre and post-cruise itinerary is included in the package. Arrangements can also be made for extra pre and post extensions if desired. The purchase of trip cancellation, travel accident and baggage insurance is strongly recommended. There are many uncertainties and unforeseen circumstances involved in our world; therefore we strongly recommend the purchase of travel insurance. It will provide coverage in the event of cancellation of your trip due to unforeseeable sickness, injury or death to you, a family member, or a traveling companion. In addition, it will provide coverage for travel accidents, baggage loss or damage, and medical evacuation. A passport that is valid for at least six months beyond your return date is required for travel. Non-US citizens must have a valid passport and any necessary visas. Legal names must be correct on all documents. Lack of proper ID will result in denial of embarkation; therefore all passengers are responsible for necessary identification.